Since the foundation of Meitheal, the following projects in Kilmaley have been underataken and are either completed or are "works in progress". 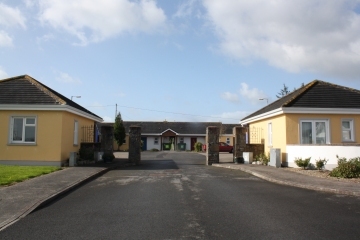 Meitheal's subsidiary company, Kilmaley Voluntary Housing Association (KVHA) undertook the construction of twelve houses for the elderly and the daycare centre in 2003. An extension to the daycare centre was completed in 2010. The total cost of these projects was €1.7 million. 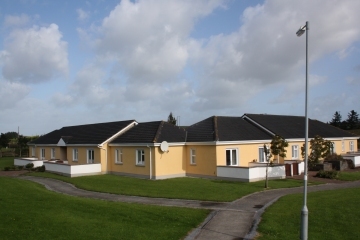 We have secured funding for the next phase of development – the construction of 12 new houses for the elderly, costing €1.8 million. Five County Clare projects have been chosen to take part in the IPB Pride of Place competiton for 2015. The all-island competiton acknowledges the work that communities are doing all over the island of Ireland. KIlmaley Voluntary Housing Association has been chosen to represent Clare in the category of Community Health Initiative. As last year, Clare County Council will host the Pride of Place award ceremony at Treacey's West County Hotel in Ennis in November. Congratulations to the five Clare projects nominated this year. For more information visit www.prideofplace.ie. Copyright (c) 2011-2015 Kilmaley Meitheal Co Ltd. All rights reserved.